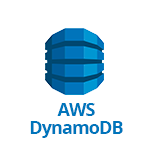 Use SignalFx to monitor Amazon DynamoDB via Amazon Web Services. AWS DynamoDB: Overview of all data from DynamoDB. Successful requests to DynamoDB or Amazon DynamoDB Streams during the specified time period. Requests to DynamoDB that exceed the provisioned throughput limits on a resource (such as a table or an index). Requests to DynamoDB or Amazon DynamoDB Streams that generate an HTTP 400 status code during the specified time period. Requests to DynamoDB or Amazon DynamoDB Streams that generate an HTTP 500 status code during the specified time period. The number of read capacity units consumed over the specified time period, so you can track how much of your provisioned throughput is used. The number of write capacity units consumed over the specified time period, so you can track how much of your provisioned throughput is used. The average number of provisioned read capacity units for a table or a global secondary index. The number of provisioned write capacity units for a table or a global secondary index. Requests to DynamoDB that exceed the provisioned read capacity units for a table or a global secondary index. Requests to DynamoDB that exceed the provisioned write capacity units for a table or a global secondary index. For more information about the metrics emitted by Amazon DynamoDB, visit the service’s homepage at https://aws.amazon.com/dynamodb/.